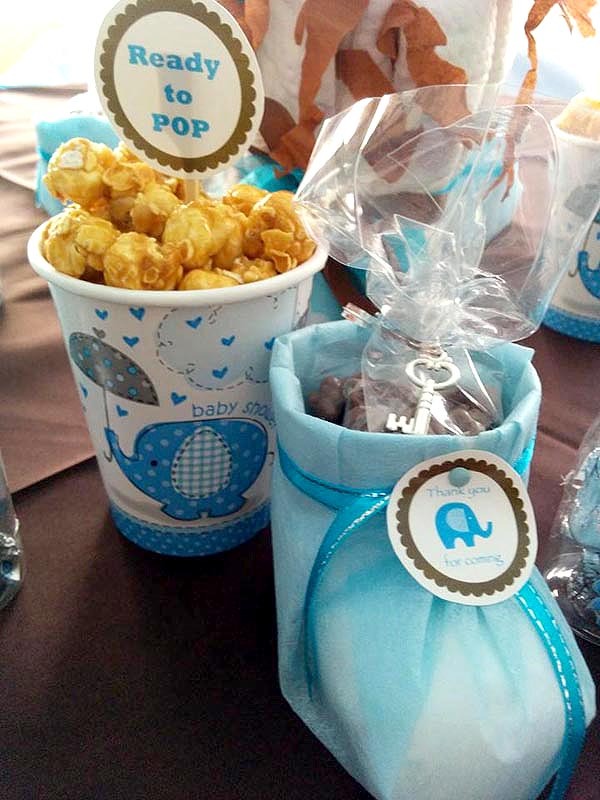 Last October, we we're invited to the sweetest and most adorable baby shower! Why? 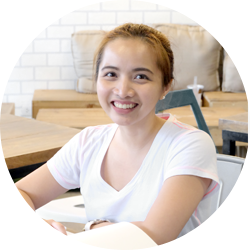 Because it was prepared by the couple's closest family and friends. 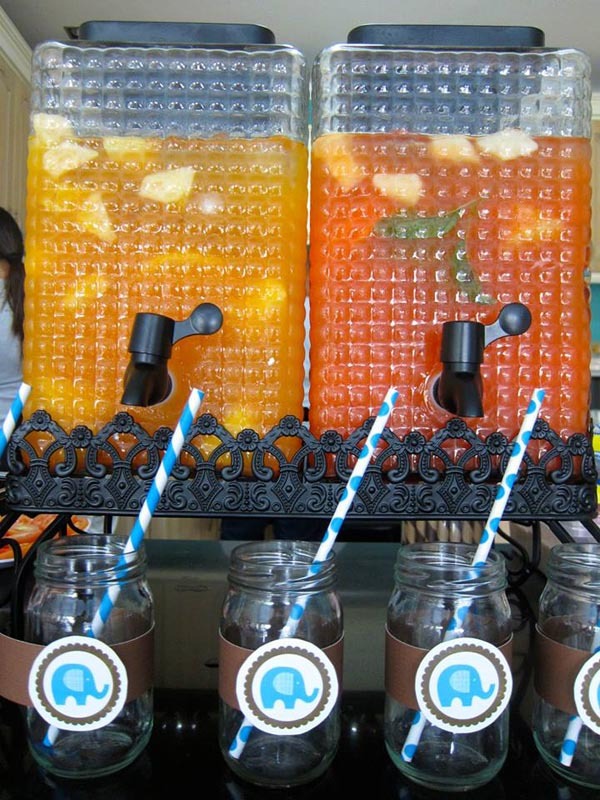 Everything from the decorations to the food were all planned and made by them. 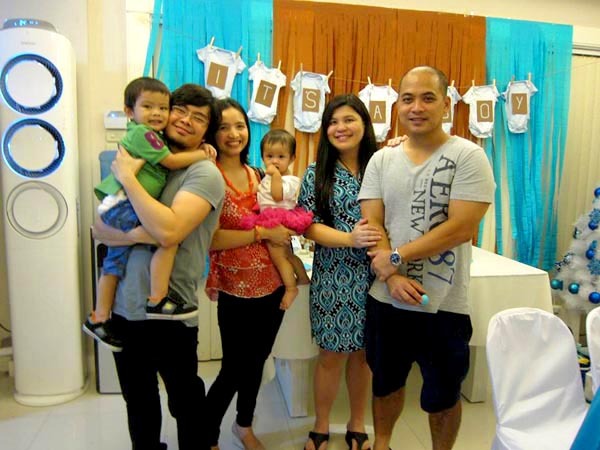 Mommy JJ and Daddy Jonas we're then expecting a baby boy (Mommy gave birth to their healthy baby last December 1, yay!). 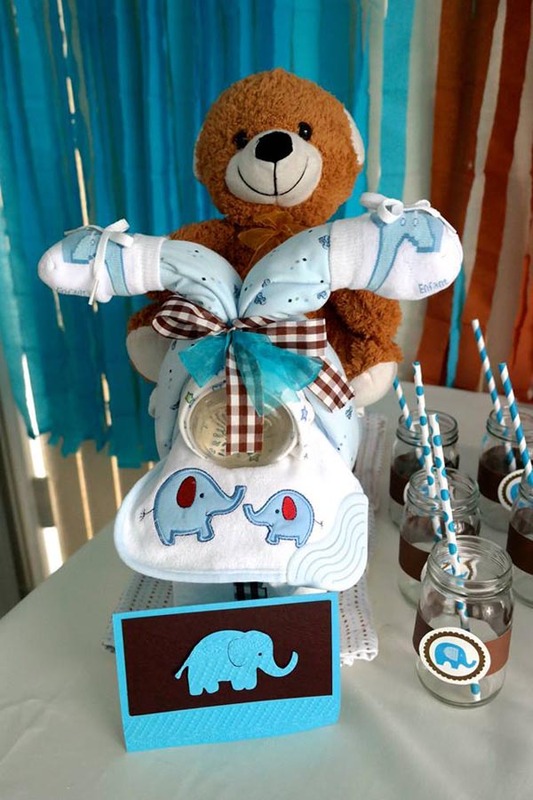 Check out their very creative DIY Blue and Brown Elephant Baby Shower, held at their family home. 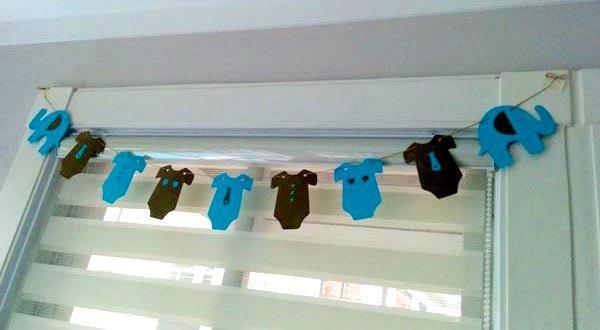 Cute and Clever: Using Onesies as Banners! How adorable right? Yummy Cupcakes made by the Mom's sister. 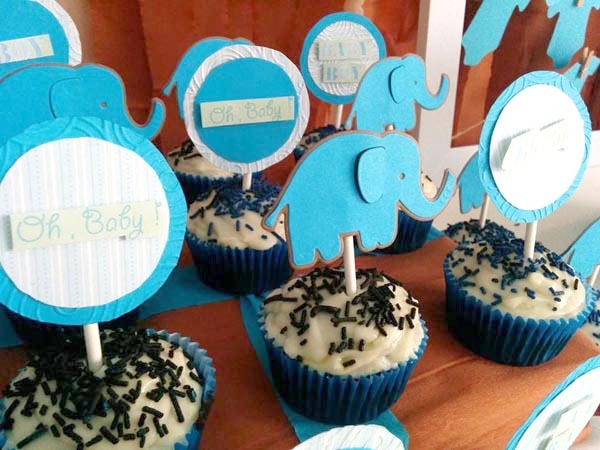 How cute are those elephants? 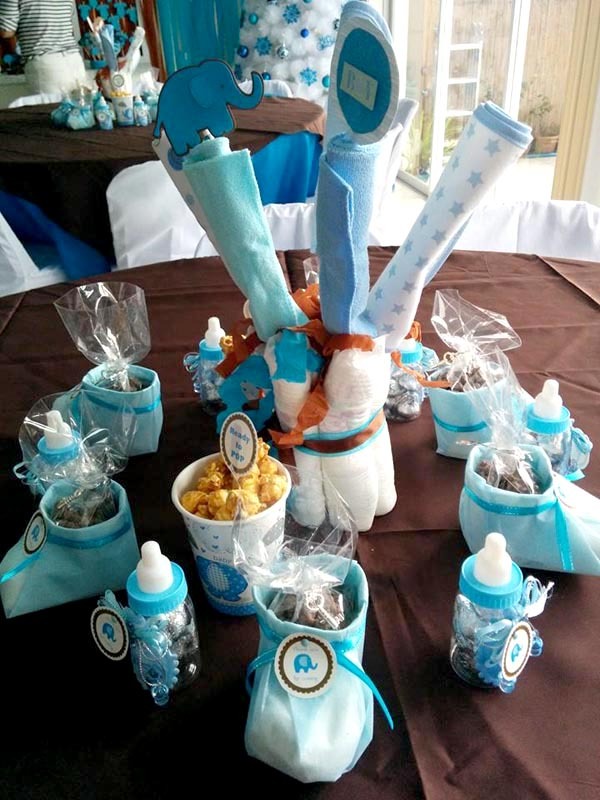 A very charming center table set up, by family and friends: Diapers and towels bouquet at the center, surrounded by chocolate-filled booties and baby bottles as party favors. 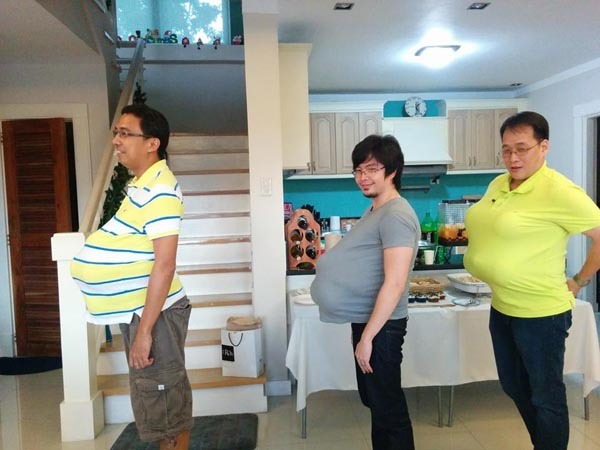 What would a party be without games? 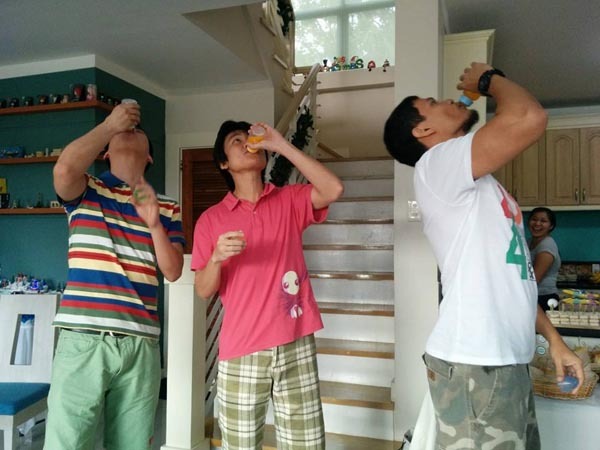 Baby Bottle Drinking anyone? What a challenge! 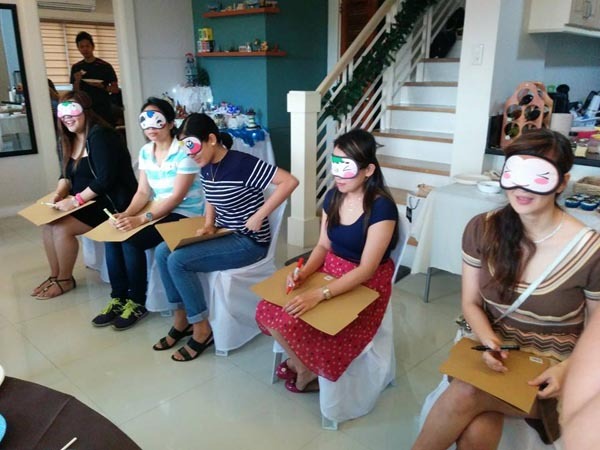 Draw a baby, blindfolded! 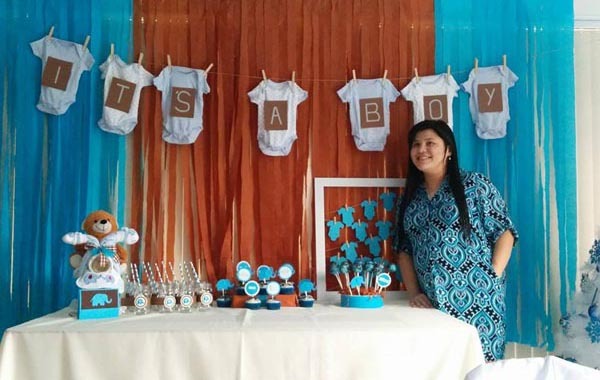 Congratulations Mommy JJ and Daddy Jonas! 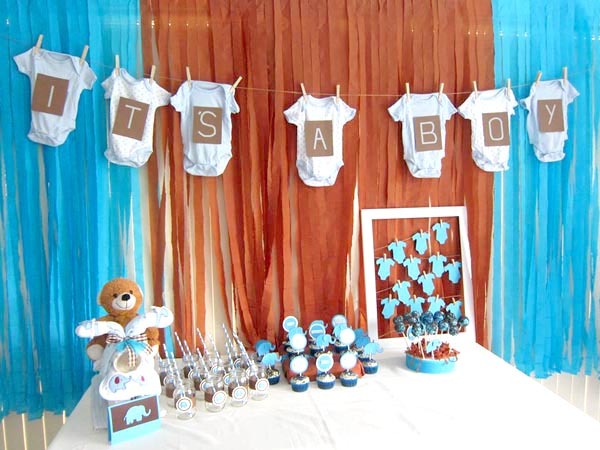 Follow Lique's board DIY Baby Shower on Pinterest. 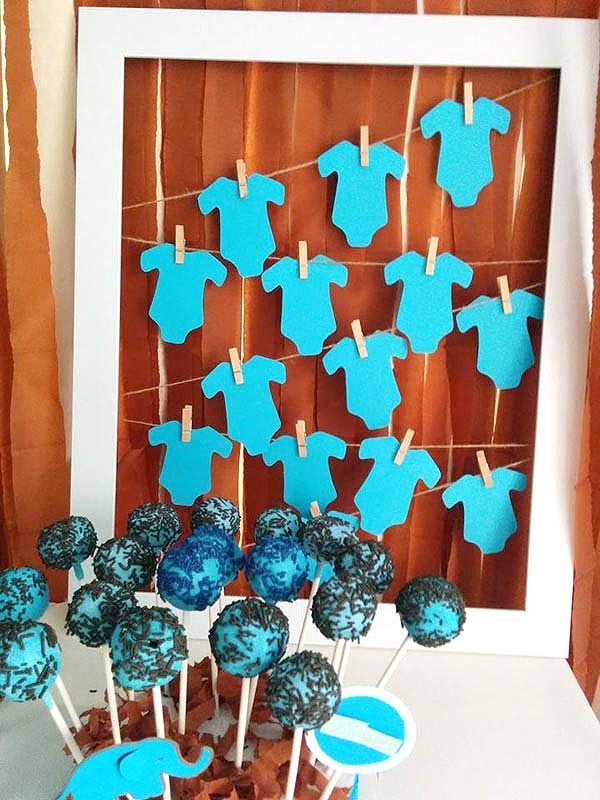 Don't you just adore Homemade Parties? 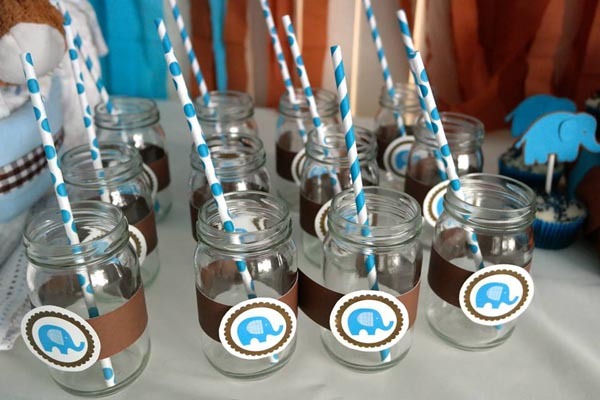 Do you have a DIY Party you'd like to share too? 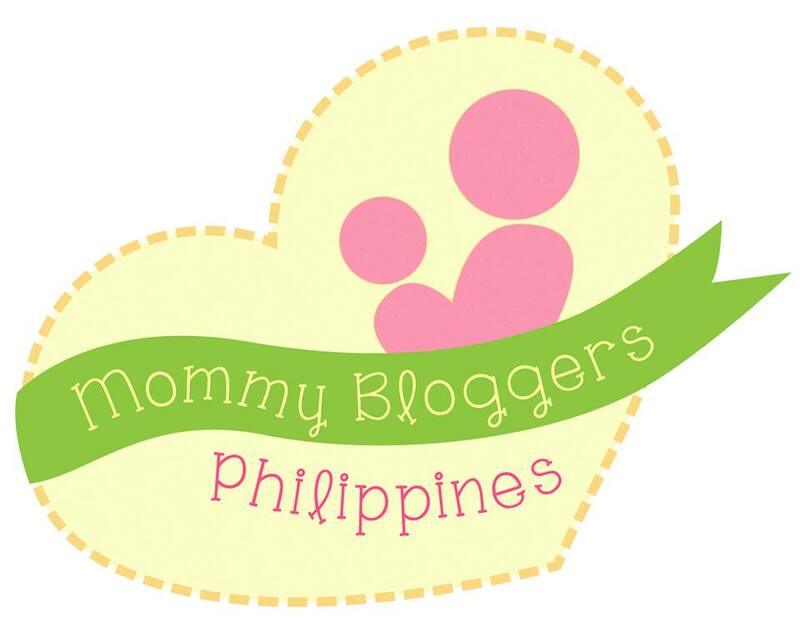 Please read the GUEST POSTS section to find out how to be featured!